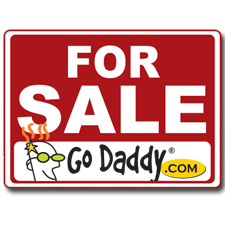 GoDaddy is running another huge sale this weekend, except this time they are looking for a buyer to buy the company outright for an estimated $2.5 billion. The announcement of the sale could come next week as investment companies start lining up for the sale. Private-equity firms KKR & Co. and Silver Lake Partners, along with a third investor, are nearing a deal to buy GoDaddy Group Inc., a closely-held company that registers Internet domain names, for between $2 billion and $2.5 billion, people familiar with the matter said… and private equity and venture capital firm Technology Crossover Ventures is also a minority investor in the proposed deal for Scottsdale, Ariz.-based GoDaddy, one of the people familiar with the matter said.